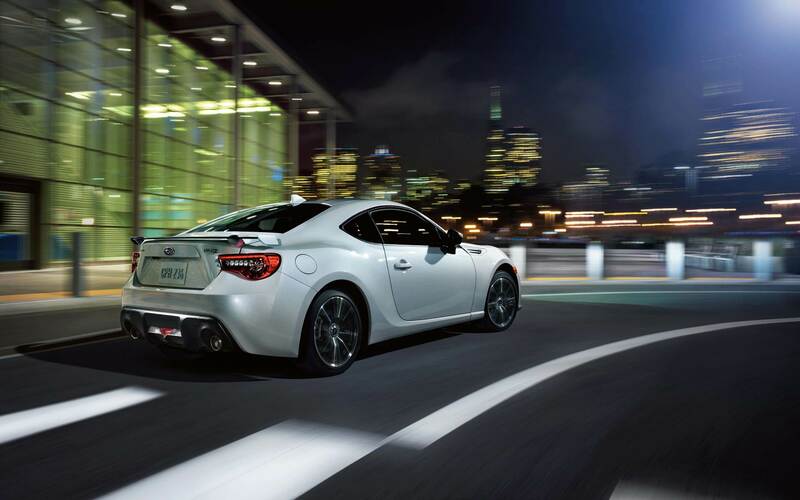 If you are looking for a sporty Subaru, then the Subaru BRZ is suited for you. For 2017, the BRZ benefits from numerous additions, making the BRZ an even more desired option in the sports coupe class of vehicles. The 2017 BRZ boasts an increase in engine power, improved gearing in its manual transmission, and a re-tuned suspension. You will also find automatic LED headlights, hill-start assist, additional interior padding, a revised infotainment system and an updated gauge cluster. 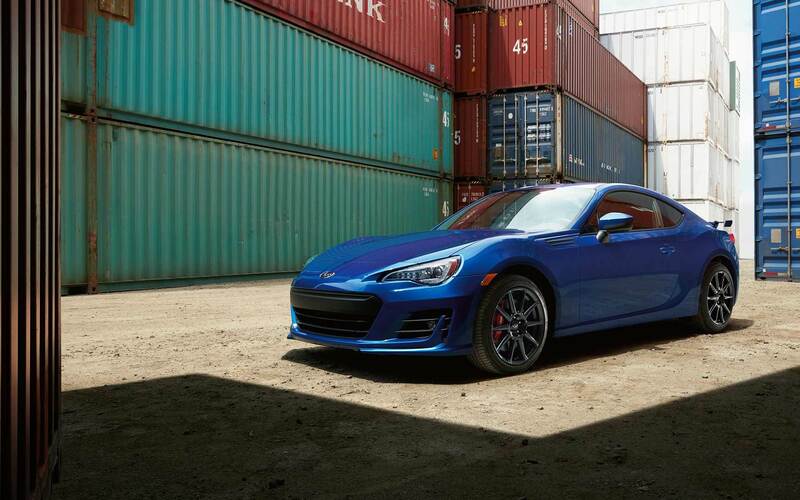 The BRZ maintains its economical pricing and still delivers an impressive ride. If this sounds intriguing, then keep reading to learn more about this sleek Subaru! The 2017 BRZ is equipped with a 2.0-liter horizontally-opposed four-cylinder engine. There are two available transmissions, the standard six-speed manual and the six-speed automatic with shift paddles (in the Limited model). Paired with the manual transmission, the engine produces 205 horsepower and 156 lb-ft of torque. Engine output increases to 200 horsepower and 151 lb-ft of torque when paired with the automatic. All BRZ models have rear-wheel drive and a limited-slip differential, which increases the vehicle's traction. In addition, the BRZ's handling is excellent on sharp turns due to its well-balanced and light chassis. The BRZ equipped with the manual transmission achieves a fuel economy of 25 mpg combined, and the BRZ with the automatic transmission earns 27 mpg combined. Both numbers are excellent for this class! The 2017 Subaru BRZ is a sports coupe that holds four passengers. Two trims are available, the Premium and Limited. Standard features include 17-inch alloy wheels, automatic LED headlights, daytime running lights, a rear backup camera, remote entry, cruise control, A/C, a leather-coated steering wheel, and more. Subaru's most updated infotainment system, Starlink, is also standard, and the 6.2-inch touchscreen has Bluetooth audio and phone connectivity, navigation, voice controls, and smartphone app integration. An eight-speaker sound system is also standard in this trim. The higher Limited trim adds keyless ignition, LED foglamps, a rear spoiler, dual-zone automatic climate control, heated mirrors, leather seating, specialized interior trim, a more advanced digital cluster display, and heated front seats. In addition, there is a special 2017 edition called Series.Yellow. The Series.Yellow edition takes the Limited features and tacks on Brembo performance brakes, specialty tires, black exterior badging, embroidered interior detailing, and of course, the exclusive yellow exterior. This edition is limited, and only 500 will be released. Do you have any finance specials right now? Yes! Click here to see our current finance specials. Yes we can! To learn more, visit our Tire Store here! Does the Subaru BRZ have a manual or automatic transmission? It's your choice! 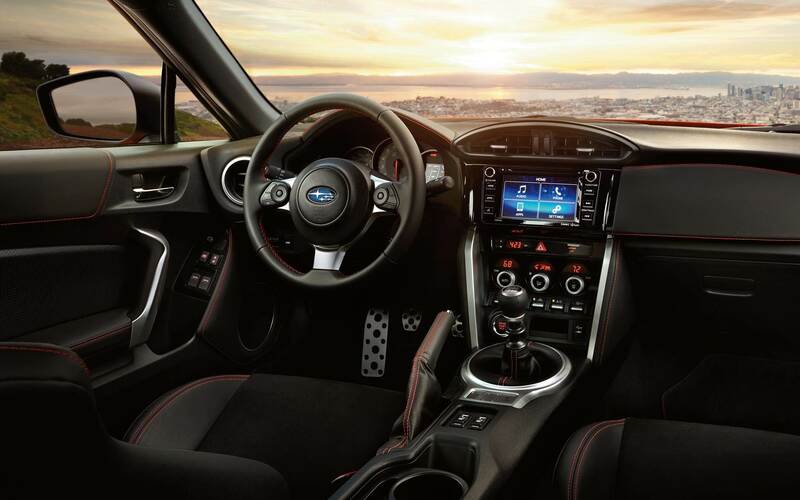 The BRZ comes standard with a manual transmission, while the Limited trim comes with an automatic transmission. The 2017 Subaru BRZ includes standard safety features such as antilock brakes, a tire pressure monitoring system, traction and stability control, brake assist, multiple airbags, and more. Subaru has successfully updated the 2017 BRZ, fine-tuning its performance and handling. The base Premium model offers a generous array of standard features, making it a very desirable vehicle option. If you are in the market for a sporty coupe, why not come down and test drive the 2017 BRZ today? We would love to help answer any of your questions!